Tags: Successful Research Tips, We Are Enzo! Enzo Life Sciences now provides 25 years of experience in the supply of research kits, biochemicals and biological. As Scientists Enabling Scientists, Enzo Life Sciences realizes the value in providing relevant information to our customers working in the fields of Life Science and Drug Discovery. We are happy to provide simple but useful tips for improving daily tasks as well as the overall quality of your research. With this in mind, here is a list of tips for achieving high quality data by ELISA, a method allowing the quantification of a desired marker/protein in a biological sample, which can be very advantageous when compared to more qualitative methods like IHC, Western blotting etc. They can also serve as an orthogonal assay format to other methods such as activity assays or Western blotting to further support and enhance previously reported research results. 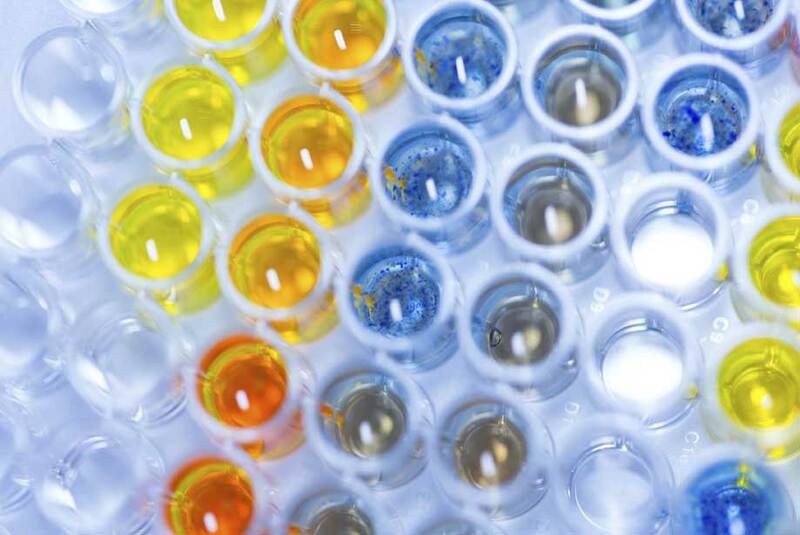 This list of suggestions is based on years of experience not only developing assays and ensuring lot-to-lot consistency in our products, but also on solutions we offer to researchers on a daily basis in order to assist them in obtaining the most accurate, consistent and reproducible data for their Enzo Life Sciences ELISA assays. While consistency may seem like a given-in and an obvious goal, there are small assumptions that can innocently affect consistency between plates run in an assay. Often, one of those small assumptions is that lot mixing, in order to conserve reagent, is safe to do. Actually, you should not ever mix components between kit lots. Each assay is lot-specific and designed to give you a defined level of performance when used before the assigned expiry date. If you mix lots, you may inadvertently introduce a reagent that may be degraded resulting in a less than optimal assay or ineffectual results. Lot-to-lot consistency between assay runs may also be ensured by consistently handling the assay reagents, following the protocol precautions each time, and making sure to adhere to the incubation times provided. Essentially, consistency should be introduced anywhere and everywhere possible for the best and most correlative data. A break in consistency could mean less accurate results for one plate versus another and when you are using samples of the same source/study, this ultimately can lead to conflicting, hard-to-explain data. For ELISA users, reproducibility will lend itself to reliability. Reproducibility can be affected by mishandling or inconsistent preparation of the kit reagents or even samples. It is important to make sure that all kit reagents are at room temperature for approximately 30 minutes before every assay. Many of the reagents contain temperature-dependent components that may come out of solution when cold. Using the reagents at room temperature ensures that you have consistent binding kinetics and consistent color development from one assay to the other. Temperature changes can affect assay behavior, which in turn can lead to a lack of reproducibility in your data. Striving for reproducibility is also vital when it comes to handling samples. Samples should always be managed and handled by researchers in a very consistent manner. This can be done by introducing consistent sample collections protocols, minimizing freeze-thaw cycles, and optimizing dilution for your sample group in the assay ahead of time, so that you can be confident that a majority of your samples should be falling in the most linear portion of the standard curve. Increase accuracy by making sure you have duplicates for all points in the assay including background, standard and sample wells. It is simply good lab practice to run replicates for all points; this will allow you to immediately spot any obvious outliers that might affect your average. For example, if you had an inadvertent pipetting issue with your n=1 of a sample well in your assay, it would definitely affect the OD, which in turn will affect the average calculated leading to an inaccurate interpolation from the curve for that particular sample. More accurate data is, of course, vital to all researchers so that they may have absolute confidence in their data and can more assertively align their data with other similar, published findings. Having low coefficient of variability (%CV) between your sample replicates is key to a successful and well run assay. Keep %CV between duplicates low by using fresh pipet tips for each addition to the assay. New tips can prevent cross-contamination between wells, which in turn can keep the background and %CVs low and increase data reliability. Also, it is not recommended to pour reagent from a reservoir back in the original bottle as this can inadvertently cause contamination as well. Not everyone takes the time to calculate or review their %CVs for their assay but it can be quite helpful in gauging consistency and reliability. For the most reproducible standard curves, be sure to serially dilute the curve using the range indicated in the assay manual. Adding points to either end of the curve will not increase sensitivity and will not allow the kit to detect higher concentrations as well. The upper and lower asymptotes of the curve are limited by the unique characteristics of the antibodies used to yield binding to the plate in the assay and expanding the curve will not change such limitations. Also, keep in mind that it is important to make fresh standard curves for every assay/plate. Most assays indicate a suggested time limit in which freshly prepared standard curves should be used. It is vital to follow all recommendations and precautions surrounding standard curve preparation. For the most accurate sample analysis, it is very important for each end user to optimize dilution for their unique samples for the levels of the biological marker being detected can vary as can potential matrix interference effects. It is, therefore, important to not only make sure that you are falling into a safe place on the standard curve with your sample population, but it is also important to make sure you have dilutional linearity using your sample dilution. Even if there is a recommended dilution ratio for a sample matrix that a researcher may be using, it is still crucial for each researcher to optimize their dilution ratio for their samples using the kit protocol recommendations only as a guide. Sometimes extraction, additional dilution, etc. could be required for some samples and only by optimization of the dilution can this potential requirement be pre-determined. Some researchers underestimate the importance of this optimization process and in some instances, end up with sample data that is not linear, is falling off the curve, or is too variable rendering the data essentially unusable. To make sure your assay worked well and to allow for appropriate troubleshooting should an issue arise, it is important to include all of the suggested background wells in your assay. Some assays may call for multiple control wells or background wells and they all serve a slightly different purpose. If you are unclear about what certain background wells and control wells are used for in an assay, be sure to reach out to technical support for clarification. For the best results, you will want to use the recommended diluents only for your standard curve and sample preparation. During assay development, manufacturers identify optimal conditions for not only curve performance but samples detection as well. Detergents, ionic strength, pH etc. can all play a crucial part in finding the most conducive environment for a happy assay. Following the diluent recommendations is, therefore, always highly recommended for the best results possible. In order to achieve complete color development, be sure to adhere to the incubation guidelines indicated in the assay manual. Temperature, time, and shaking (if required or discouraged) can all greatly affect the status of the assay if they are not followed. Cutting incubation times short can prevent everything from getting to equilibrium before moving to the next step in the assay and large temperature changes can also affect binding kinetics. If shaking is suggested, it is always best to follow that guideline as well for in some assays it does make a bid difference in the resulting OD’s. Accuracy and consistency of handling during plate incubation really can help enhance assay performance. For optimal detection, read the plate at the wavelength indicated in the assay manual and use the suggested data analysis software. We suggest using a 4Parameter (4P) Logistic Curve Fit for data analysis in order to obtain the most accurate sample data. Most plate readers do have this 4P software available already. If you are unsure of whether or not your plate reader has a 4P software, we encourage you to reach out to your plate reader manufacturer to confirm. If you have this software, they can walk you through accessing it and setting up your plate template for plate read and data analysis that will happen immediately following the read. Enzo Life Sciences offers hundreds of ELISA kits all geared towards a wide variety of proteins and hormones with the option for testing multiple sample matrices from a diverse range of species. Our kits are highly published and Enzo Life Sciences has decades of experience developing and optimizing ELISA assays to meet the ever-changing needs of our scientific community.